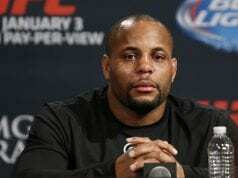 UFC heavyweight champion Daniel Cormier seemed pretty set on his March retirement. However, in this crazy sport nothing is a sure thing. 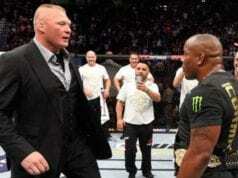 Cormier still seems content on retirement this year, he is just pushing the probable date back to the spring or summer. “DC” cites a long list of nagging injuries including arthritis in his wrist as the main reasons why he needs extra time to prepare for what could be his last fight. As for who Cormier will be fighting in his probable final fight, we’ll, that is still very much up in the air at this point. But the former “double champ” does seem to have a soft spot for a certain WWE superstar. Whether or not the timing works out is another story.